To visit CEMS 2015, please click here. 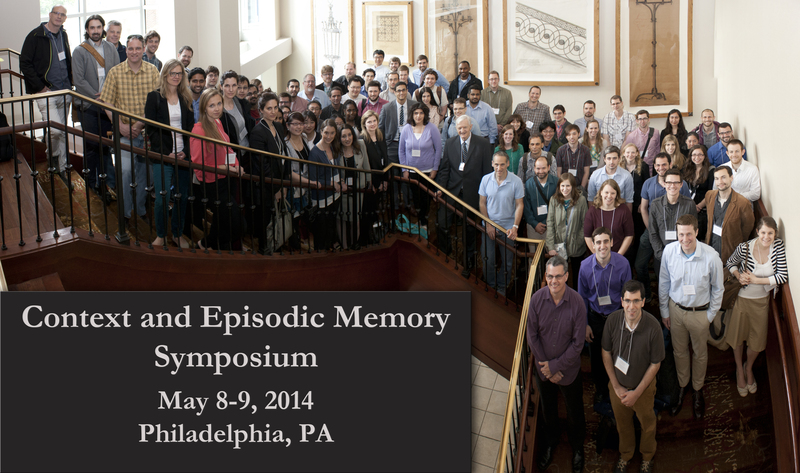 The 2014 Context and Episodic Memory Symposium (CEMS), now in its tenth year, was held on the campus of the University of Pennsylvania in Philadelphia, PA, on May 8th and 9th, 2014. We are pleased to announce that Dr. Gordon Bower will be giving the keynote presentation at CEMS 2014! Please visit the page for CEMS 2013 for information on the previous year's symposium, a group photo, and info on the student presenter award. The symposium was held at the Inn at Penn, a Hilton hotel, which also served as the host hotel for the conference. Please note that our room block will be released on April 23rd. More info on the Inn at Penn can be found on their website. You must create an account first. Sign up using this CEMS 2013 link and receive a $10 bonus credit towards your first ride. * Starting May 1, late registration fees (above plus 25%) will apply. Registration will be available at the welcome desk of the conference via credit card. The registration fees will cover meeting room rental, A/V costs, breakfast both days, snacks and refreshments, and a reception on the evening of May 8th. Students and advisors: We have several student travel awards available, similar to last year. In 2013, the awards took the form of registration fee waivers. If you are interested, please DO NOT use the registration link above; instead, e-mail the committee at context.symposium@gmail.com. Abstract submission for talks is closed; the final schedule can be found below. Please e-mail context.symposium@gmail.com if you have any questions. 25 minute talk, 10 minute commentary, up to 10 minutes of questions. Aaron M. Bornstein, Kenneth A. Norman: Cued context shapes actions: Reward statistics of reinstated associative context can bias choices. Andrew C. Heusser, Youssef Ezzyat, Lila Davachi: Accumulating power and similarity in patterns of oscillatory brain activity predict temporal order memory within and across events. Yaara Yeshurun, Janice Chen, Erez Simony, Christopher J. Honey, Uri Hasson: How does the brain represent different ways of understanding the same story? This page was last modified on 30 March 2015, at 11:48.